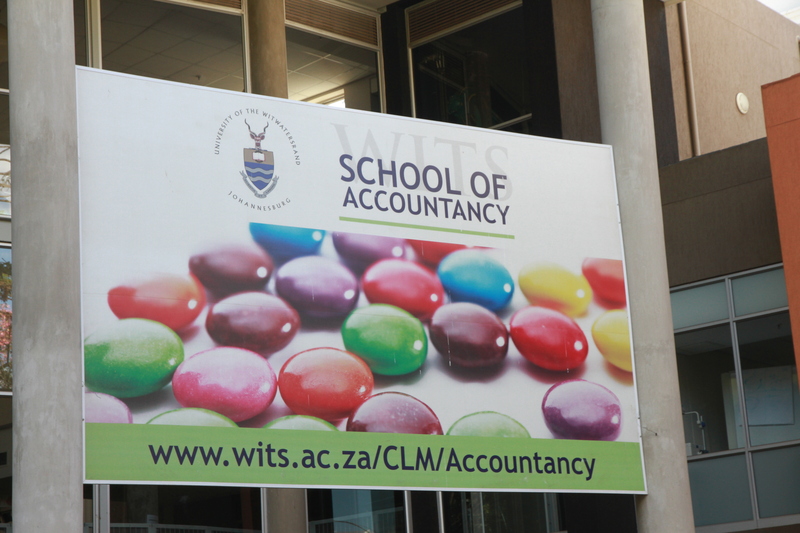 Second year BCom students at the School of Accountancy are unhappy about course changes implemented at the beginning of this year. They have concerns about employment, the course work covered and transferring to other universities to study a postgraduate degree. Students in the Wits School of Accountancy have expressed unhappiness about recent changes in the second year curriculum. The new curriculum, introduced at the start of this semester, now includes International Financial Reporting Standards (IFRS) for Small and Medium Enterprises (SMEs) but students say a lack of communication has led to uncertainty and confusion. “The change caused a major uproar in the school,” Sewela Makgolane, second year BComAcc and chair of the Accounting Student Council (ASC), said. Phiwe Fongoqa, 2nd year BComAcc, said returning students were not notified of the syllabus change prior to registration. To Makgolane, the introduction of the new course means that “when you leave Wits with a BCom degree, you can’t really aim to work in a company that is not classified as an SME”. “Previously students were leaving Wits with a BCom degree with majors which didn’t make sense and found challenges being employed because the net of the BCom is so wide,” Yasseen said. “We changed the system in order to give these students the opportunity to have a Wits degree” Padia said. Several students noted a communication gap within the school’s student and management levels. “There is a gap because there is not enough exposure for BComAcc students as most things are focused on AccSci students,” Makgolane said. “Whether you are doing IFRS for SMEs or the full IFRS, the conceptual framework and principles are the same and covered in the three years,” Yasseen said. He also said the IFRS syllabus is available free online, whereas the text books cost R1 200 and need to be changed yearly. This article first appeared in Wits Vuvuzela, March 2015. ASC candidates hopeful for election success, March 2015.